Leveloc is simple- but is it elegant? Just because it’s simple doesn’t mean it doesn’t work. 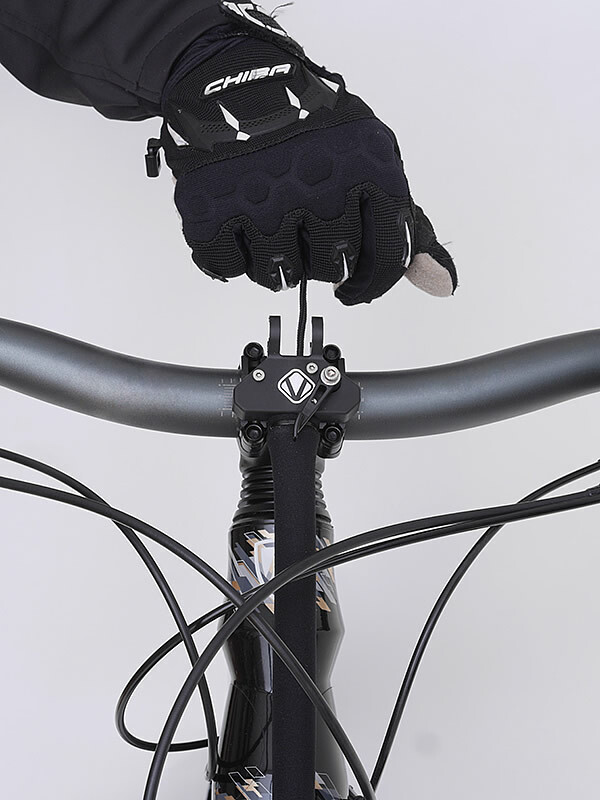 Last month, we brought you a nicely-detailed long-travel dropper post from young German company Vecnum. Hardly content to stop there, the company has since added details of another product: the universal Leveloc fork travel adjuster. 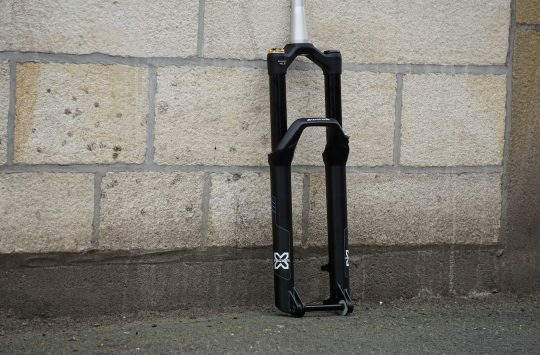 While travel-adjust forks are nothing new, Vecnum’s is probably the simplest concept since RockShox was threading stops up and down coil springs. 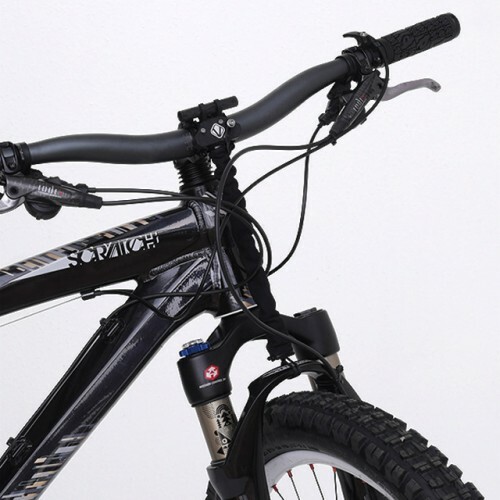 In effect, the Leveloc is a piece of rope that is tied to the fork arch, anchored at a special stem clamp and finished with a (carbon fibre) T-handle. Pull up on the handle while pushing down on the bars and the front end collapses for climbing (or stuffing the bike into a car boot). While it may not be something that fork companies would endorse, the design manages not to interfere with damping or spring characteristics. As an added bonus, the system is said to add only 60g to most any fork – less than many internal systems – without adding complexity. The Neoprene outer tube keeps the internal rope from flapping about as the fork goes through its travel (and perhaps acts as a very light additional negative spring). 60g of near-universal travel adjustment. Though it’s on the long side, the video at top makes a good case for the design’s elegance. If nothing else, the scenery and music are nice and the riding is impressive. Pricing has not yet been set- the Leveloc should be finalised by Eurobike this August. 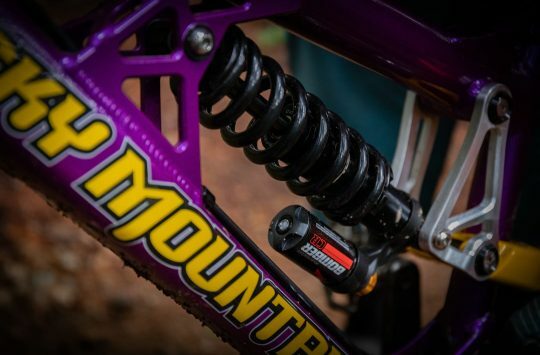 Marzocchi will give you up to £100 cashback for your old fork, shock or dropper in any condition! isn’t this akin to shoving a branch between your spokes to slow you down? The local guys have been doing this for years. They use a strap to do it. It started because the float foxes were so much better than the talas. Tbh I don’t think it makes much sense in the uk where the climbs are much shorter, over here we can climb for a few hours before a long descent. That looks like a really good way to maul your fork lowers tbh. Seen it done but not for me. Anyone know who the tunes by? I like the look of that helmet. Obviously not going to be a replacement for a proper FF but looks a whole lot less likely to break and skewer your face than other halfway house helmets. I was more impressed with the split helmet. That is neat and simple. 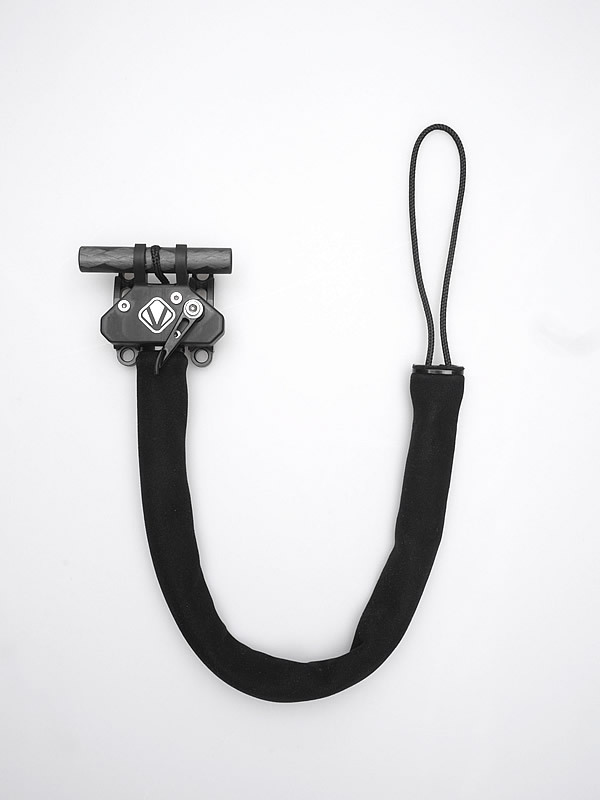 Not as pretty-looking as a travel-lock trigger on the bars but so simple. The start of that descent was terrifying. It’s not designed for tension in that direction, especially if the forks are extending and pulling against it. No point in over thinking a problem is there! 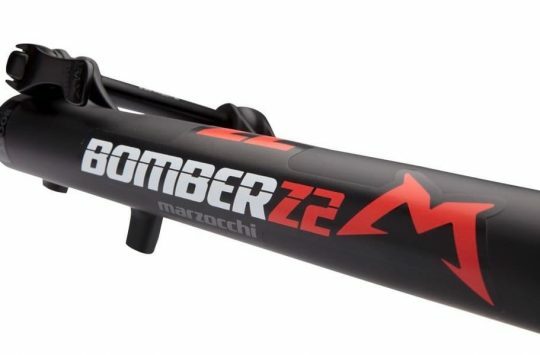 I may lose my dual position Lyriks in favour of some fat Marzocchi 55RC3 Ti’s yet..